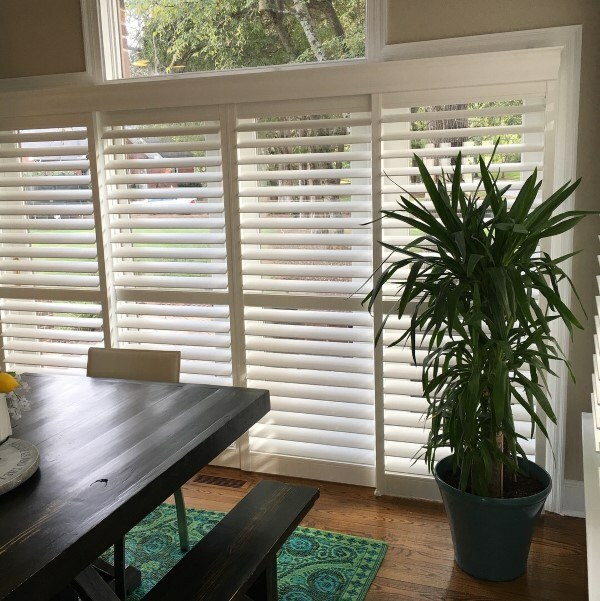 Cellular shades also known as honeycomb shades are energy efficient and offer exceptional warmth to any home décor style or setting. 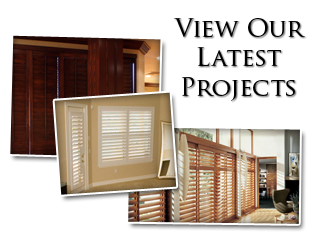 Provide your large windows and patio doors a touch of elegance, luxury and style with Sheer Vertical Shades. 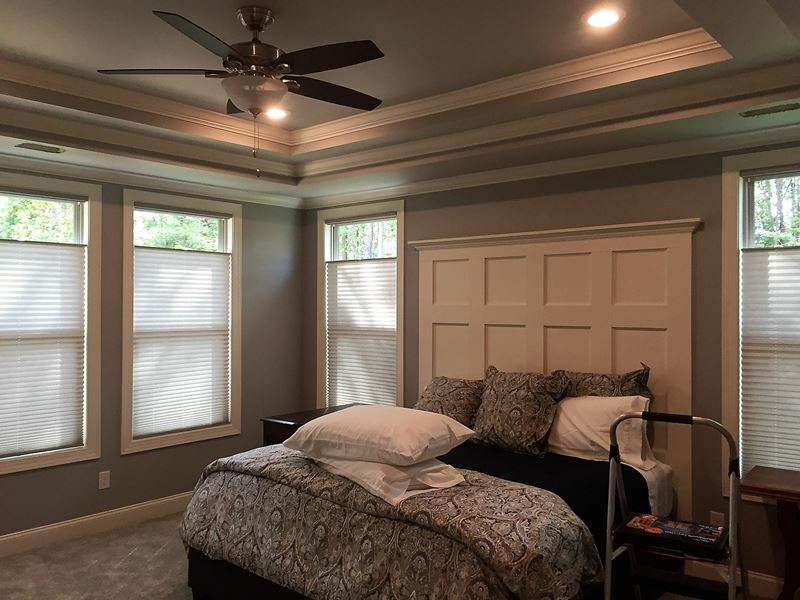 The look of soft drapes with the adjustability of blinds. Absolutely a stunning application. 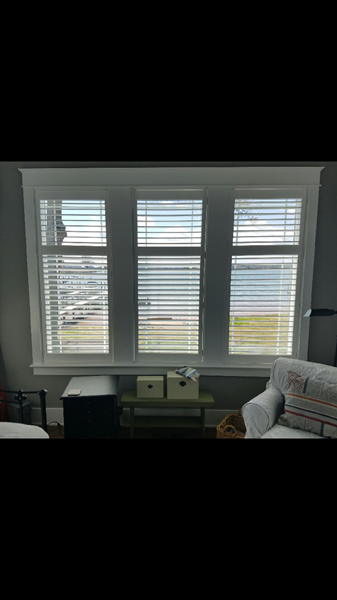 This version of a traditional flat roman shade has concealed support rods at every pleat to fold neater and lie flatter than other roman shades. 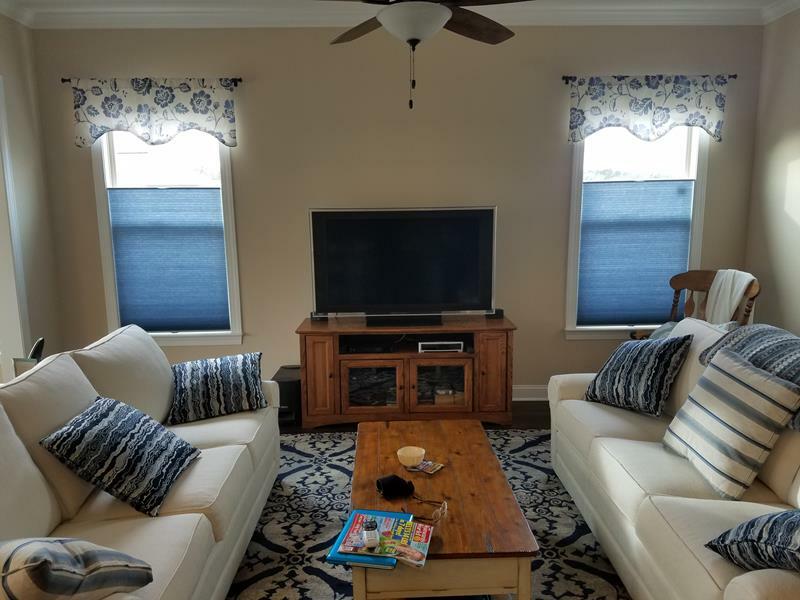 Classic Roman Shades work well with just about any fabric. 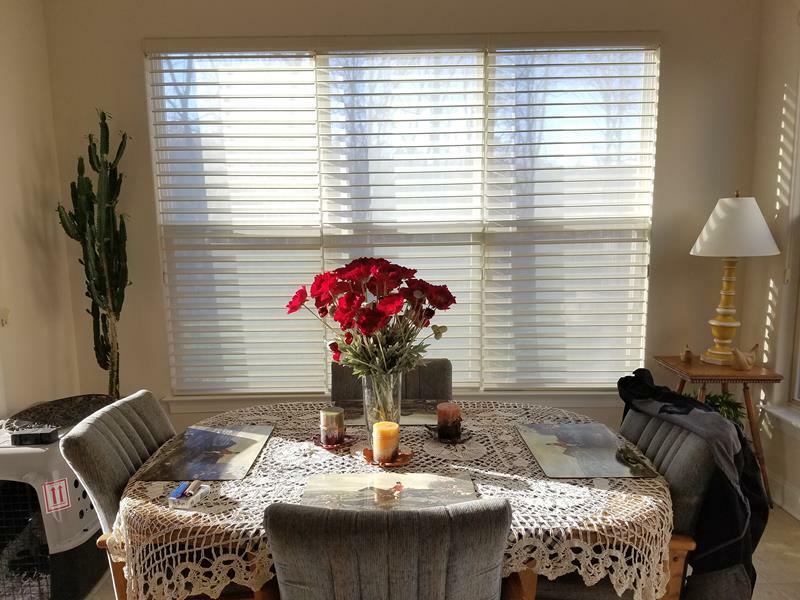 Graber Pleated Shades add depth and structure to traditional shades through evenly spaced crisp folds of fabric. 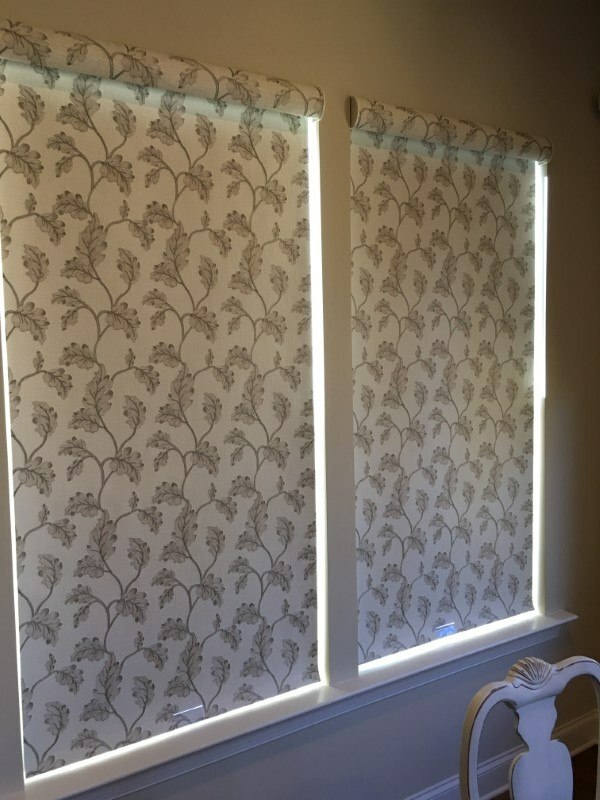 Available in many stunning textiles from sheer and light filtering to opaque, tailor these shades to your preference for privacy and light control. 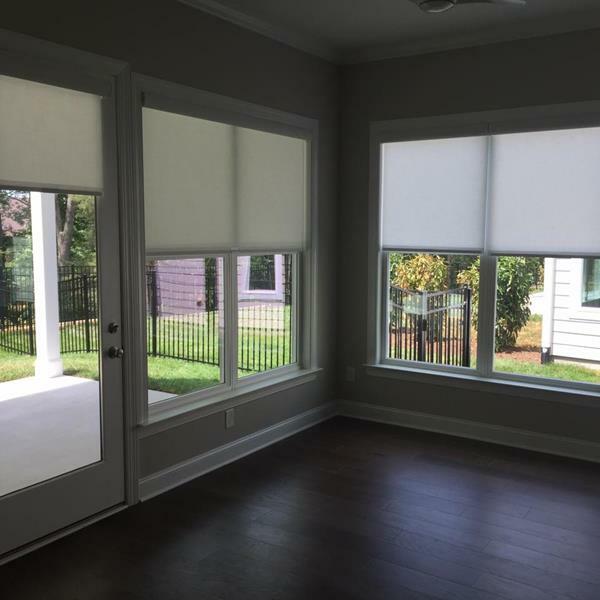 Upgrade any of our roller shades with a cordless lift for safety. With each cordless roll up shades, there are no dangling cords. 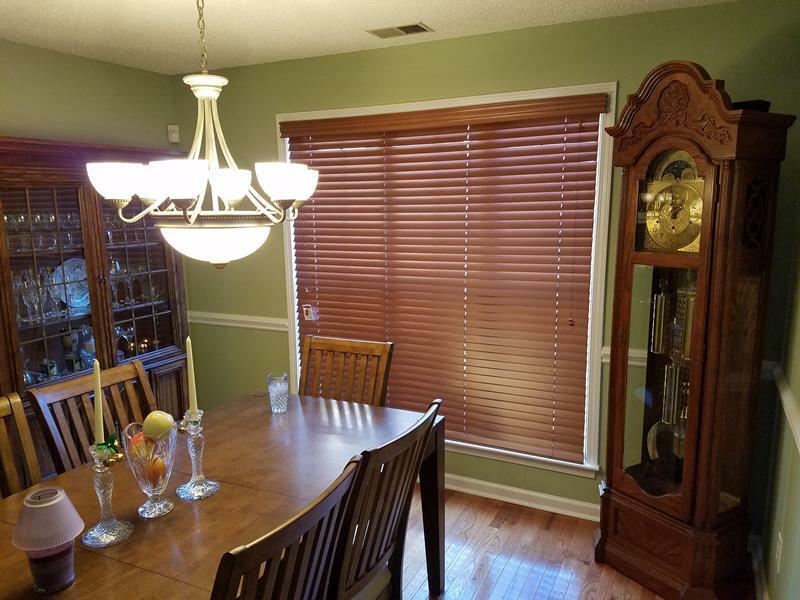 We had an older couple who had very very old white faux wood blinds on 3 of their windows and they wanted something nicer to compliment the color they already had in their house. 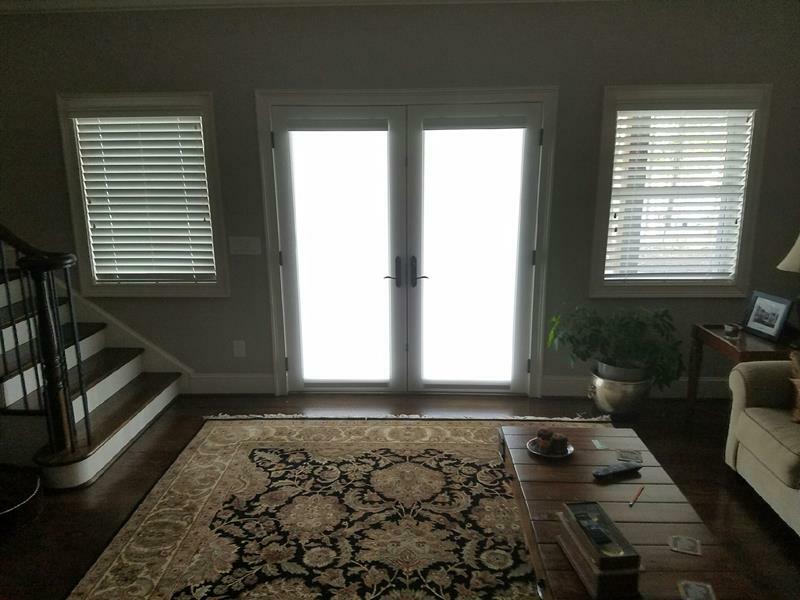 This customer was moving into a new home and wanted to cover up some of their windows with something that gave her privacy, a nice look, and also some light when she wanted it. 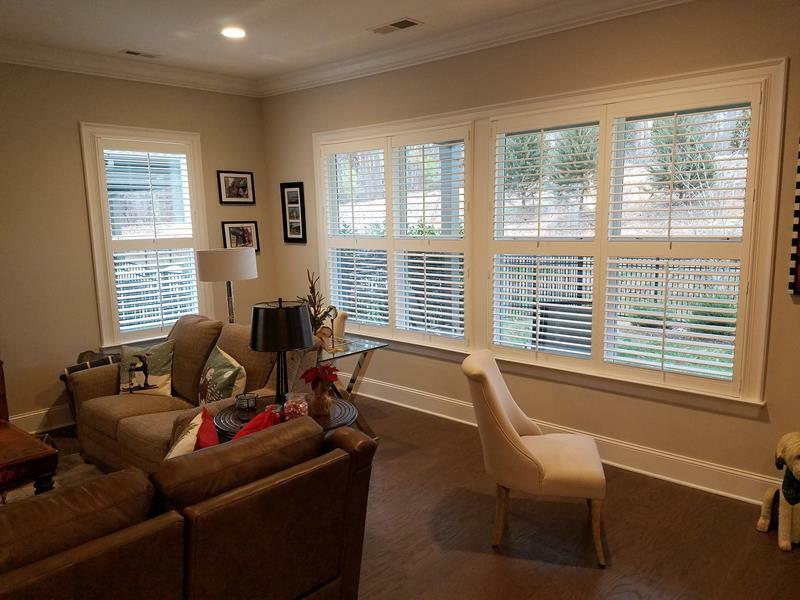 Another customer in the Trilogy development in Denver, NC asked us to help them dress the windows facing the backyard. 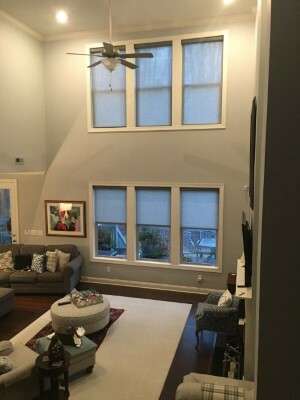 We helped them choose and install beautiful light filtering roller shades. 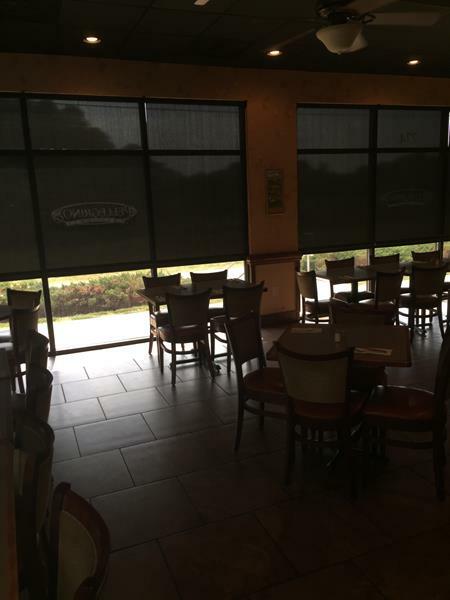 The customer had 2" faux wood blinds in their restaurant that were 10 yrs old and falling apart. 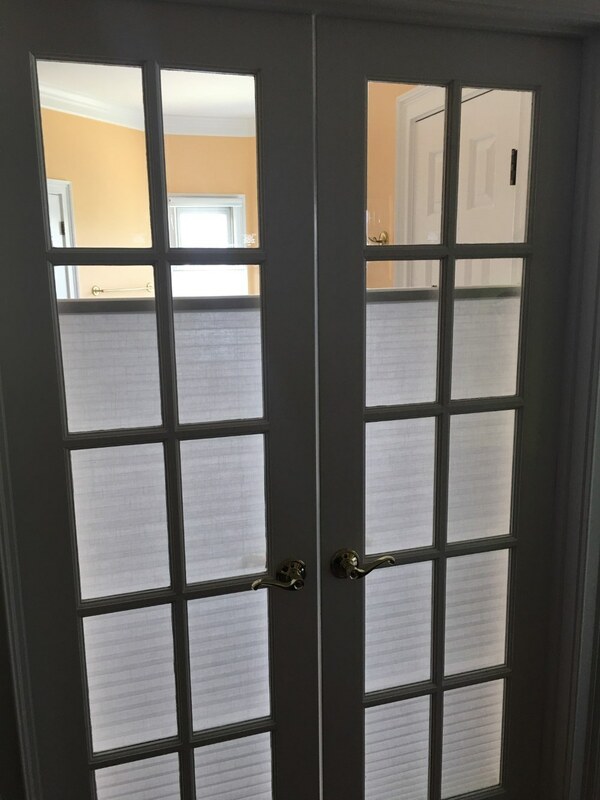 They came to us looking for a solution and we suggested roller screen shades. 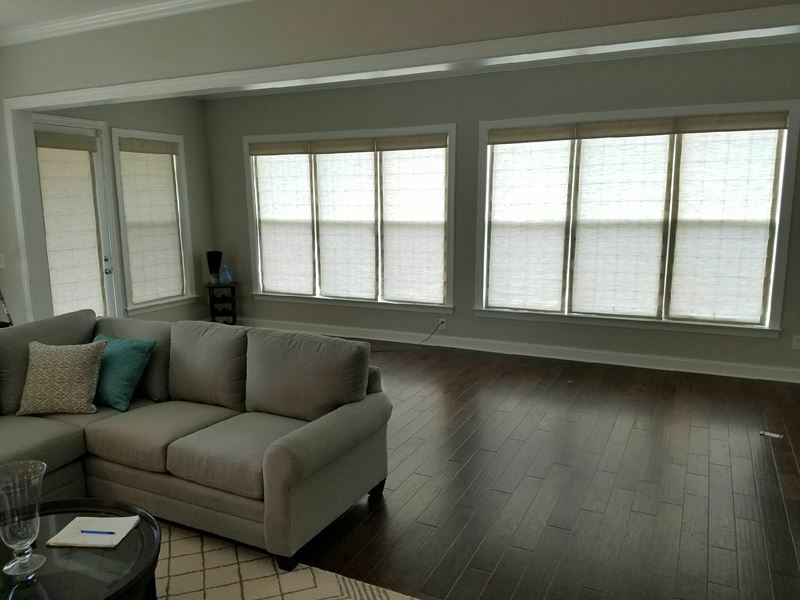 They were so frustrated with sun coming through their current blinds that they felt like they wanted black out roller shades. 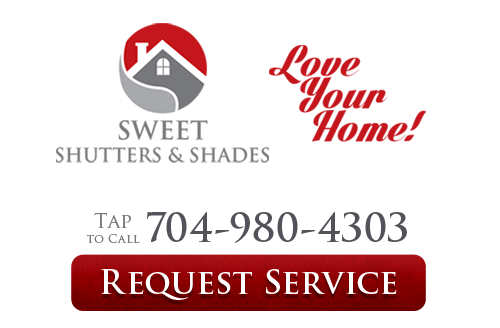 If you need a professional Charlotte shutter company for your project, please call 704-980-4303 or complete our online request form.